Labor — The roofer will remove the old roof if necessary and make minor repairs to the structure. He will then install your new roof, including ice dam protection, asphalt paper, shingles, flashing, and ridge vents. If extensive repair is needed, the cost will be adjusted accordingly. Cleanup — The expense of hauling away the old roofing material and other debris is, as a rule, included in the price quote. Supplies and Equipment — Usually the cost to hire a roofer includes all supplies and equipment. Asphalt shingles are the least expensive and most widely used roof material; they come in a variety of colors and have a lifespan of 15-20 years. 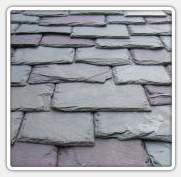 Other common materials include clay tiles, slate, and wood shakes. Building Permit — A building permit here in macomb county is often required for a repair, removal, or replacement of more than 100sf ft of roofing. Estimate — The initial estimate, which may include an onsite inspection, is often free. 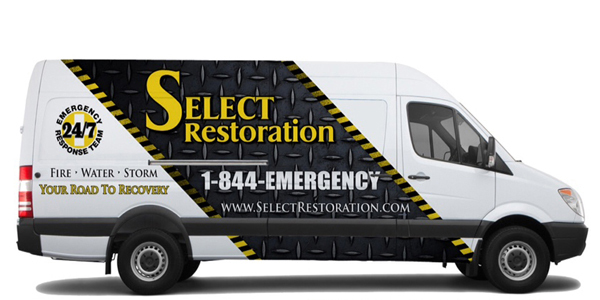 Select Restoration is a family owned property restoration company built on honesty and integrity. Our commitment to great customer service has given us the opportunity to serve Macomb County and all Southeast Michigan for over 22 years. To ensure quality workmanship, Select Restoration, A Licensed Michigan Roofing Contractor employs only factory-trained and certified Roofers for all of our roof leak roof repairs, Roof Installations and Roof Replacements here in Macomb County. Asphalt Roof Shingles. 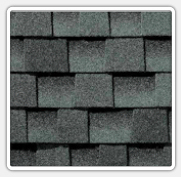 Asphalt composition shingles are the most popular material in Michigan. The cost of a new roof with asphalt is among the lowest of any popular material and they carry a moderate lifespan. It’s usually possible to install a new asphalt shingle roof over an existing asphalt shingle roof, providing that the roof structure is sound. But if there are already two layers of roofing in place, the entire roof will have to be stripped down to the roof sheathing. As with any roof replacement, the flashing will also need to be either replaced or renewed. In climates that undergo extreme temperature shifts, shingles can warp from thermal shock. Not necessarily the most attractive style. Metal roof replacement. Metal roofs can require replacement because roof panels have been damaged by high winds or impacts. Replacement may also be called for when panels rust or the factory-applied finish deteriorates. When an old metal roof is replaced with a new one, building owners sometimes choose to install a metal roof that has a different profile. 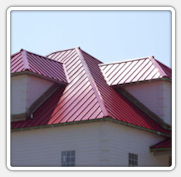 Metal roofing encompasses a wide range of styles, including aluminum, copper, corrugated iron, metal blends, and galvanized and stainless steel. Resistant to fire, hail, snow and wind. Lifespan of 20 to 50 years or more. More expensive than asphalt composition shingles. Not necessarily the most attractive style, although more color options and pattern designs are available today than in the past. Basic interlocking steel shingles run from $5,000 to $17,000. Aluminum metal costs between $12,000 and $20,000. Corrosion resistant steel sheets start at $12,000 and go up to about $22,000. Copper and other high-end styles are priced from $25,000 to $40,000. Replacing a wood shingle roof. A wood shingle roof never wears out evenly, since some areas of the roof receive more exposure to the weathering effects of sunlight and moisture than others. When spot repairs become necessary on an ongoing basis, many homeowners elect to have the entire roof replaced. Today many roofing contractors recommend installing a “rainscreen” material beneath a wood shingle roof, instead of nailing the shingles directly against the roof sheathing. 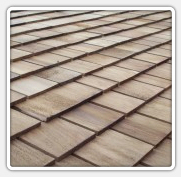 The resilient rain screen material creates an airspace beneath the roof shingles that promotes drainage and drying.Wood shingles and shake are cut from Western Red Cedar logs, giving them an attractive, classic appearance. Shingles are machine cut while shake consists of pieces of split wood blocks. Lifespan of 30 to 50 years or more. How much does a new wood shingle roof cost? Clay tile roof replacement. Because of the expense involved in replacing a clay tile roof, some homeowners elect to have a different roofing material installed after the clay tile roof is removed. Once the roof has been cleared of tile, the roof structure can be inspected and repaired as necessary. The horizontal and/or vertical battens used to install some tile roofs may need to be repaired or replaced before a new tile roof can be installed. The roofing contractor may also recommend installing a new waterproof membrane prior to installing the new roofing material.Tile roofing includes clay, sand, and concrete. It’s a popular option in the southwestern U.S. courtesy of its natural defense against the sun. Durable against sun damage, fire, rot, and damage from insects. Lifespan of 50 years or more. Extremely difficult and expensive installation. Requires professional upkeep every 10 to 20 years to replace underlaying material. Due to its weight, some homes will need extra structural support. How much does a new tile roof cost? Basic clay tile: $12,000 to $21,000. High end tile: Up to $65,000. Your home is your biggest investment. Replacing your roof is seldom a want, but most often a need. Usually, it’s an emergency. When it comes time to repair or replace your roof, choosing the right shingle might be important, but choosing the right contractor is critical. 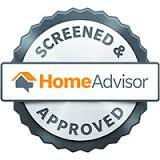 Select Restoration has been installing roof’s here in Michigan since 1993 and has the BBB credentials to prove it! We have hundreds of satisfied customers for you to call on. When you’re looking for a Roof Replacement Cost here in Oakland County, expect to pay an average of $3900 – $9400 for a roof replacement and about $400 – $1200 for a a roof repair. Don’t despair! Not every roof problem means you have to completely tear off or replace your roof. Loose or missing shingles, minor ceiling leaks, damaged soffits or flashing, and sagging gutters all are good candidates for roof repairs. But Left alone, these problems almost inevitably get worse. 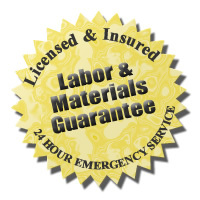 Oakland County Roofers: Armada, MI. Center Line, MI. Clinton Township, MI. Detroit, MI. Eastpointe, MI. Fraser, MI. Harrison Township, MI. Macomb, MI. Mount Clemens, MI. New Baltimore, MI. New Haven, MI. Ray, MI. Richmond, MI. Romeo, MI. Roseville, MI. Saint Clair, MI. Saint Clair Shores, MI. Sterling Heights, MI. Utica, MI. Warren, MI. Washington, MI. Auburn Hills, MI. Berkley, MI. Beverly Hills, MI. Birmingham, MI. Bloomfield Hills, MI.Bloomfield Township, MI. Clarkston, MI. Clawson, MI. Commerce Township, MI. Drayton Plains, Farmington, MI. Farmington Hills, MI. Fraser, MI. Ferndale, MI. Franklin, MI. Hazel Park, MI. Harrison Twp, MI. Highland, MI. Holly, MI. Huntington Woods, MI. Harbor, MI. Lake Orion, MI. Lakeville, MI. Leonard, MI. Madison Heights, MI. Milford, MI. New Haven, MI. New Baltimore, MI. New Hudson, MI. Northville, MI. Novi, MI. Oak Park, MI. Oakland, MI. Ortonville, MI. Oxford, MI. Pleasant Ridge, MI. Pontiac, MI. Rochester, MI.Rochester Hills, MI. Roseville, MI. Royal Oak, MI. Sterling Heights, MI. South Lyon, MI. Southfield, MI. Troy, MI.Union Lake, MI. Walled Lake, MI. Waterford, MI. West Bloomfield, MI. White Lake, MI. Wixom, MI. Allen Park, MI. Belleville, MI. Canton, MI, Dearborn, MI.Garden City, MI. Grosse Pointe Farms, MI. Grosse Pointe Park, MI. Grosse Pointe Shores, MI. Grosse Pointe Woods, MI. Hamtramck, MI. Harper Woods, MI. Westland, MI. Warren, MI. Woodhaven, MI. Wyandotte, MI.